This week it is National Pie Week so naturally I had to bake a pie! We all love a good old pie but it is not a meal that is cooked enough. Pies are a great and tasty way of adding more vegetables to your families diets. It can be chopped into small pieces and with the gravy, meat and pastry even the fussiest of eaters will enjoy it! 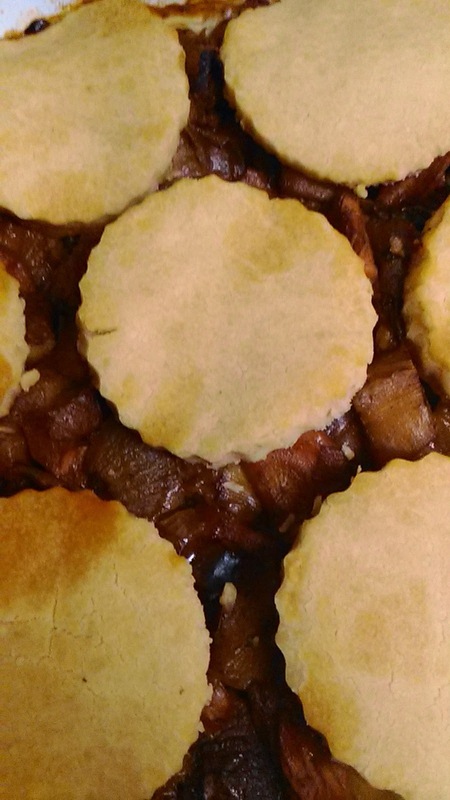 This week I decided to make a pie that was a little bit different. This week I am using buffalo steak. Buffalo steak is a meat which is becoming more and more popular in the UK. You will know that I am currently on a health kick and trying to loose weight. This pie is my healthier version. 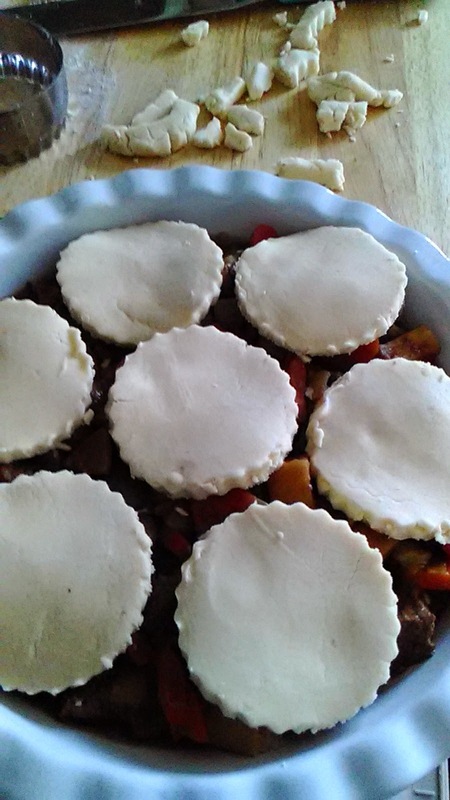 Instead of using a pastry base and top I have used pastry discs as a topping on a meat base. This enabled me to enjoy the pastry but not have too much! 2 - Crumble over the beef stock cube and pour over 500mls of hot water. Cook for 4 hours on the high slow cooker setting. 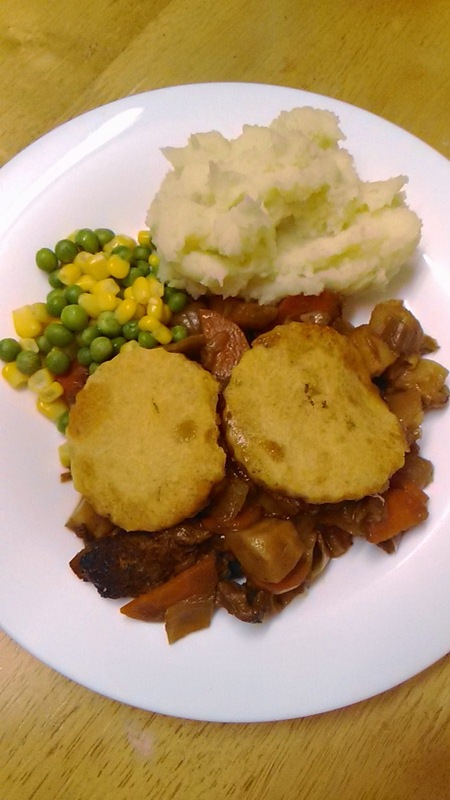 This meal is a perfect way to enjoy a pie with a little less guilt! It goes perfectly with mashed potatoes and vegetables. With the leftover juices in the slow cooker add a little boiling water with a few gravy granules to create a tasty gravy. Slow cooking the meat with the root vegetables add a rich sweetness that adds even more flavours to this dish. 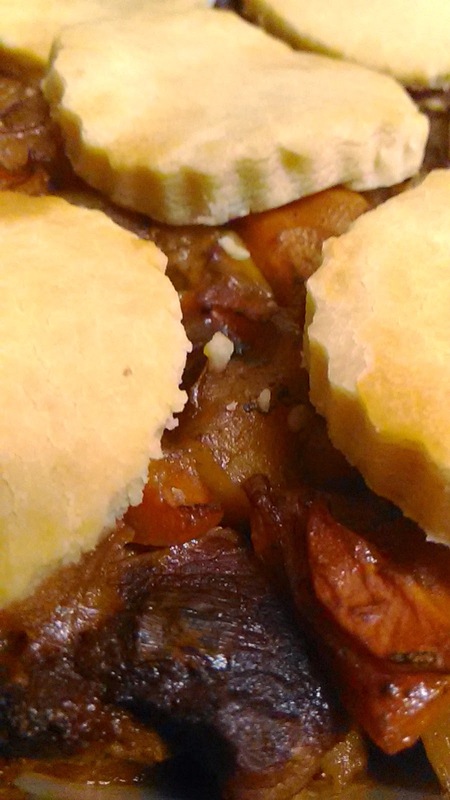 A perfect meal for National Pie Week!